Speedi-Products Boots Are Used For Applications Including Residential, Commercial, HVAC, And More. Speedi-Products boots are made of sheet metal for long lasting durability and dependability. 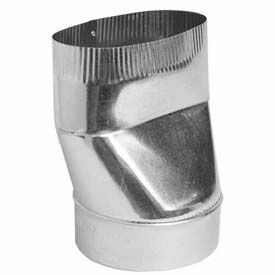 Boots are designed for transitioning oval wall stack ducting to round sheet metal pipe for interior wall supply and return air ducts. Units accommodate new projects, remodeling, DIY, and more. Insulation ensures temperature control for energy efficiency and cost effectiveness. Includes seal joints with approved duct mastic sealants. Type is Oval To Round. Color is Silver. Dimensions vary per model. Speedi-Products Wyes Are Used For Applications Including Residential, Commercial, HVAC, And More. Speedi-Products wyes are made of galvanized steel for long lasting durability and corrosion resistance. Wyes improve airflow and reduce friction for splitting supply, return, or exhaust branch lines. Units accommodate new projects, remodeling, DIY, and more. Insulation ensures temperature control for energy efficiency and cost effectiveness. Includes seal joints with approved duct mastic sealants. Crimped ends allow convenient installation. Type is Wye Branch. Color is Silver. Dimensions vary per model. Speedi-Products Reducers Are Used For Applications Including Residential, Commercial, HVAC, And More. Speedi-Products reducers are made of galvanized steel for long lasting durability and corrosion resistance. 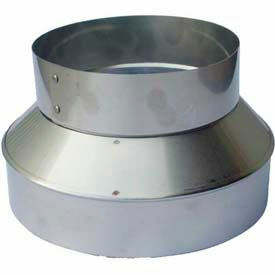 Units reduce the diameter of HVAC supply, return, or exhaust round ducts. Reducers accommodate new projects, remodeling, DIY, and more. Insulation ensures temperature control for energy efficiency and cost effectiveness. Includes seal joints with approved duct mastic sealants. Type is Galvanized Plain Reducer. Color is Silver. Dimensions vary per model. Speedi-Products Elbows Are Used For Applications Including Residential, Commercial, HVAC, And More. 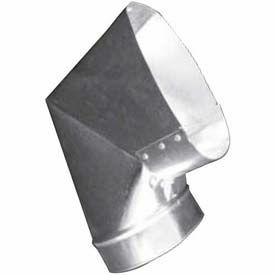 Speedi-Products elbows are made of sheet metal for long lasting durability and dependability. 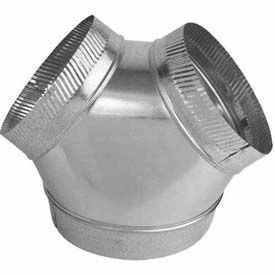 Elbows allow ergonomic adjustability and accommodate 90° angles for HVAC venting or duct systems. Units are designed for new projects, remodeling, DIY, and more. Insulation ensures temperature control for energy efficiency and cost effectiveness. Includes seal joints with approved duct mastic sealants. Crimped ends allow convenient installation. Color is Silver. Dimensions vary per model. 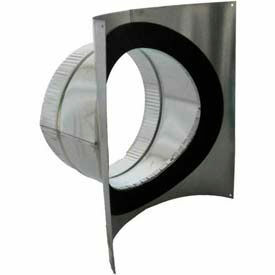 Speedi-Products Flex Collar Can Be Used For Residential Do-It-Yourself HVAC Projects. Speedi-Products Flex Collar has 28 gauge galvanized sheet metal construction for long lasting durability and crimped ends for easy installation. 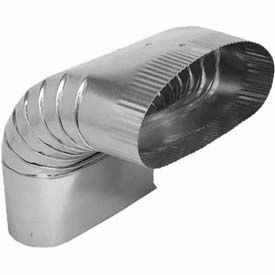 Flex Duct Splice Collars and Flex & Sheet Metal Duct Splice Connector Collars join round flexible or sheet metal ducts. Join with approved mastic sealant. Consult local building codes. Use for new residential construction or remodeling. Speedi-Products Round Pipe Saddles Are Designed To Quickly And Efficiently Start Branch Runs From Round Pipe Trunk Or Branch Lines. Speedi-Products Round Pipe Saddles have a sheet metal construction for long lasting durability and strength. Used for use in do-it-yourself projects, remodeling and new residential or commercial HVAC (heating, ventilation and air conditioning) applications. Features an adhesive gasket that attaches to round pipe metal trunk lines for a secure connection that doesn't require added sealants. There are no sharp tabs to bend back like on standard saddles, which take extra time and can cause serious, painful injuries. Comes in a silver coloring for easy identification. Available with a Volume Damper for increased air flow control and balancing. Dimensions vary for increased versatility. Speedi-Products 90° Round Adjustable Elbow SM-26A90 05 26 GA. 5"